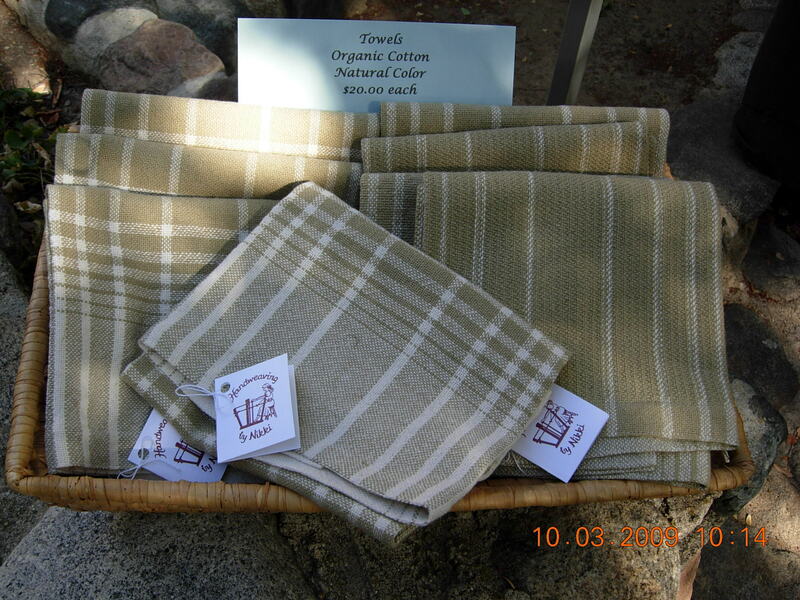 Yesterday was spent weaving these organic cotton towels that are all naturally colored–no dye. I’m preparing for the Green Faire that will take place on Saturday, Oct 2 at the Art Center in Three Rivers. It’s all part of the 1st Saturday event for October. The fun thing about this natural color cotton is that when it is washed, it changes from tan to green. Successive washes deepen the color. I’ve also been decorating some new Soy Candles for fall and Christmas. Today, I’ll weave a few more Blue Jean Placemats. Come on out and enjoy the fun.